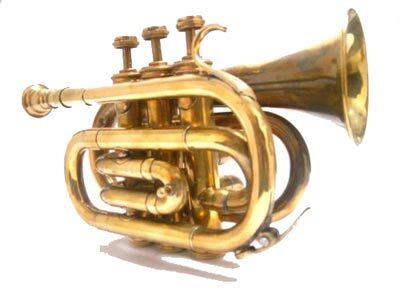 We are engaged in the manufacturing and supplying of Pocket Cornet that is high on demand in the market. The Boosey Pocket Cornet that we make available in the market is heavy and working musical instrument with good sound and beats. Bessons & Co. London.W.C2 H75983 Boosey Pocket Cornets are very endurable and long lasting in nature, mainly use as nautical gift and musical instruments.